How do I make the most of this asset? These are some of the questions that lead our clients to begin the search for a qualified appraiser. At California Art Advisory, not only do we produce professional appraisal reports suitable for any legal, insurance or tax-related purpose, we also pride ourselves on sharing our resources with the public whenever possible. Solving art mysteries ourselves is always rewarding, but so is empowering those who have inherited or uncovered artworks to start to answer some of their questions on their own. Portrait of William Anne Hollis, 4th Earl of Essex, Presenting a Cup to Thomas Clutterbuck of Watford by Thomas Gainsborough. Image Courtesy of the Getty's Open Content Program. We perform the retail replacement valuations used to establish or update insurance coverage for your art collection. Since retail pricing is often significantly higher than fair market (auction) values, basing your coverage on current retail pricing makes it easier for you to purchase a replacement in the event of a loss - otherwise, you may be stuck waiting for a suitable replacement to come up at auction. A word of caution: relying on insurance appraisals for purposes of estate or donation planning is not advisable, as the IRS requires you to submit fair market values in those cases. 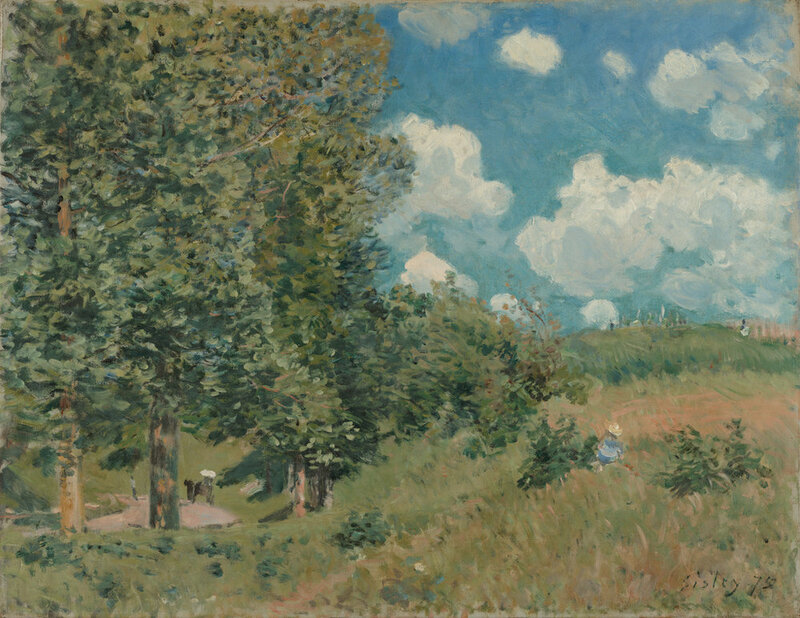 The Road from Versailles to Saint-Germain by Alfred Sisley. Image Courtesy of the Getty's Open Content Program. Whether required by the IRS for tax purposes, needed to determine equitable distribution in a probate or divorce proceeding, or used by financial planners for estate planning, a fair market value appraisal brings essential clarity to complicated processes. Still Life with Apples by Paul Cezanne. Image Courtesy of the Getty's Open Content Program. Donating art can be a complicated process, and we are here to advise and assist at any stage. A speculative appraisal can determine if a donation makes sense for you. If the art has already been gifted, the IRS requires a detailed fair market value appraisal in order to claim your full tax deduction.